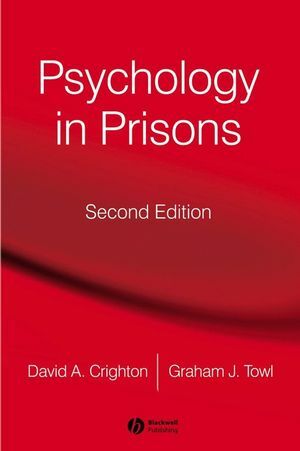 David Crighton is Deputy Chief Psychologist for the Ministry of Justice, and visiting Professor of Psychology at London Metropolitan University. Graham Towl is Chief Psychologist for the Ministry of Justice and Visiting Professor of Psychology at the universities of Birmingham and Portsmouth. 11. Suicide, Attempted Suicide and Self-injury.